This DVD insert is suitable for A4 printing via inkjet or laser. It fits the standard 14mm spine DVD case like you would get from BlockBuster Video. 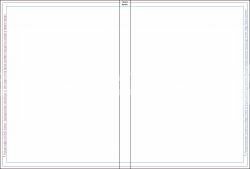 Supplied in sheets of A4 with perforated edge. Matt . DVD . Case . Inserts . - . 25 . pack . Unbranded .